Thanksgiving will be here in the blink of an eye. And Christmas will be here in 53 days. You know what all of this means, right? 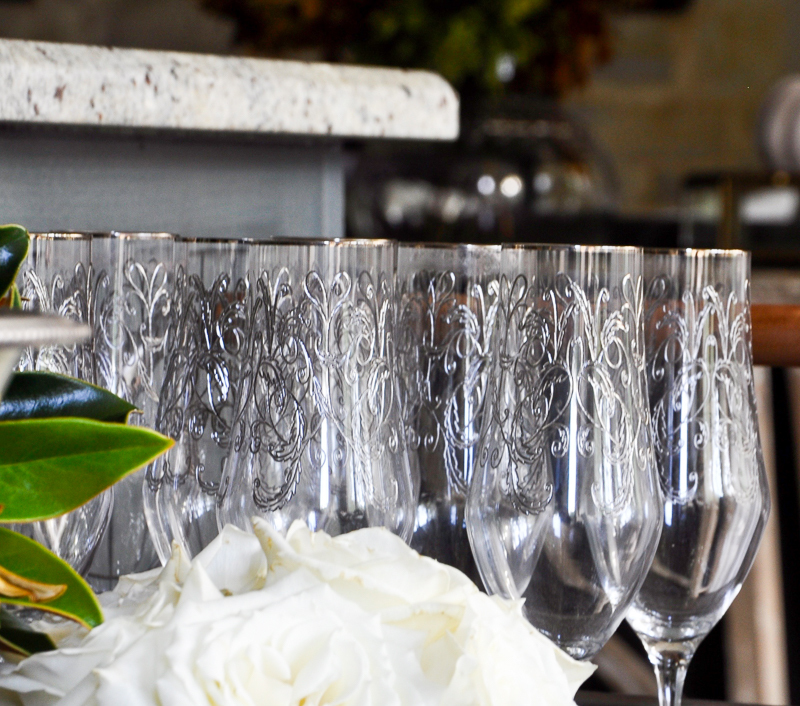 It’s time for gatherings with family and friends. 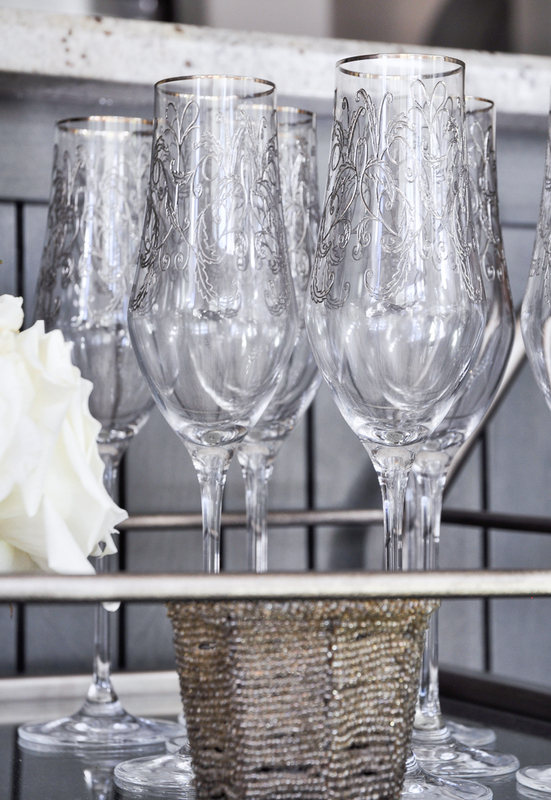 Every gathering or party we go to, I am always on the lookout for that one piece that the host has which I know has made their lives a bit easier that evening. 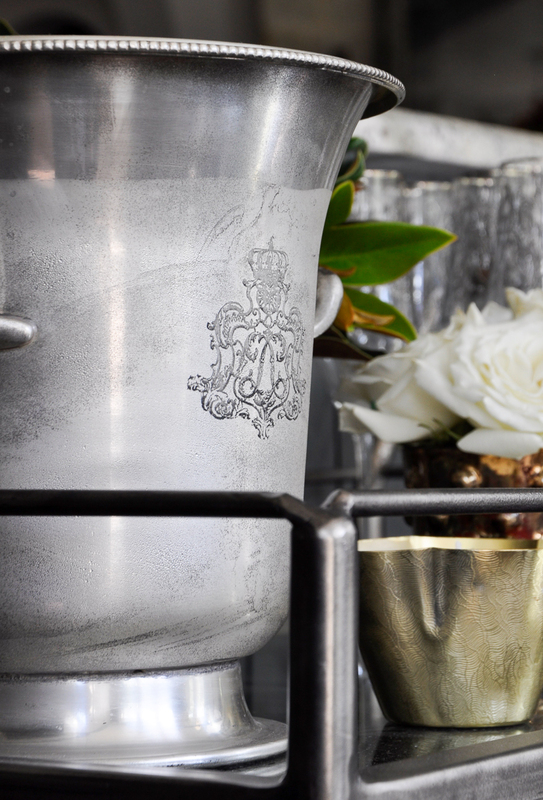 For me, it is my bar cart. It is the most versatile piece I own. It comes out for almost every gathering we host and it is an ace for storage. 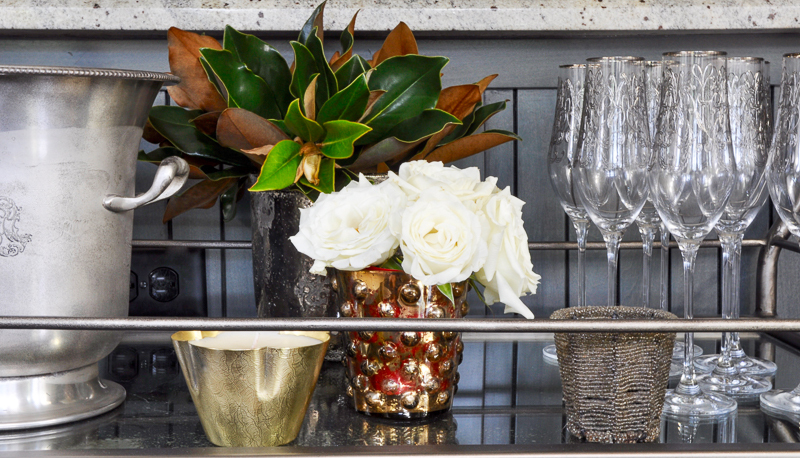 With Thanksgiving a mere three weeks away, I wanted to share my tips for bar cart styling during the Thanksgiving holiday, but you can find other stylings here and here. 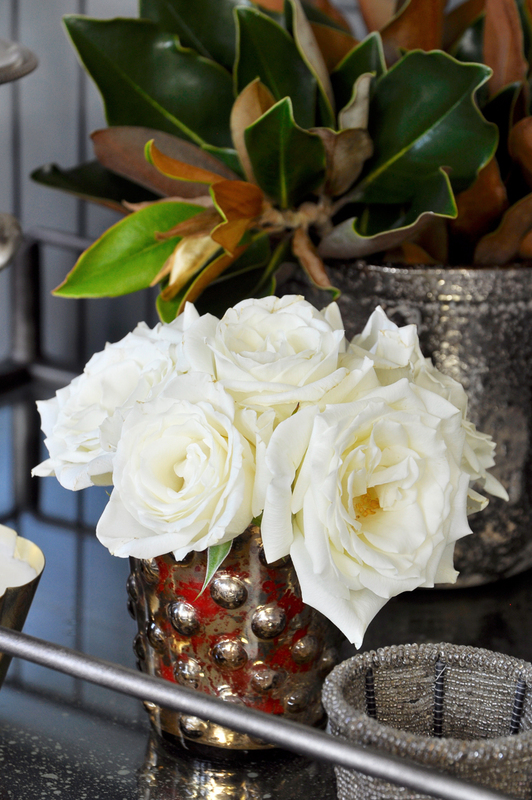 Include a candle to set the mood. 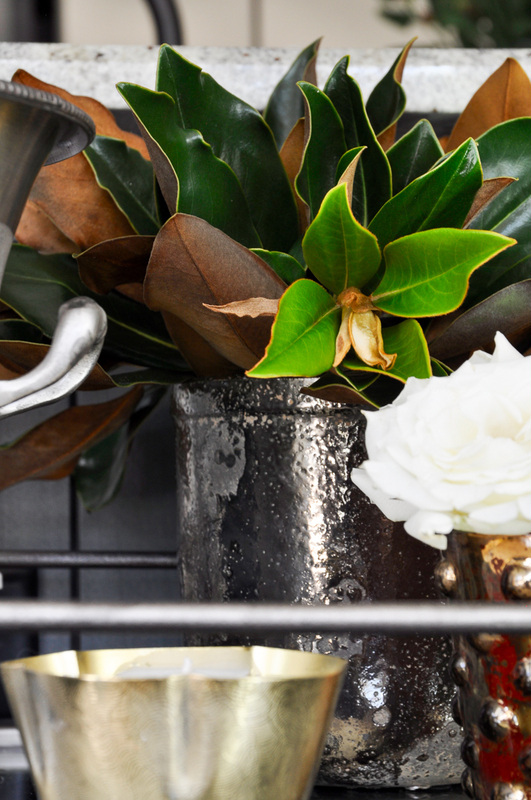 Adding flowers and greenery is a must to make the cart inviting. Magnolia leaves are fitting for the holidays. These were clipped from my yard. 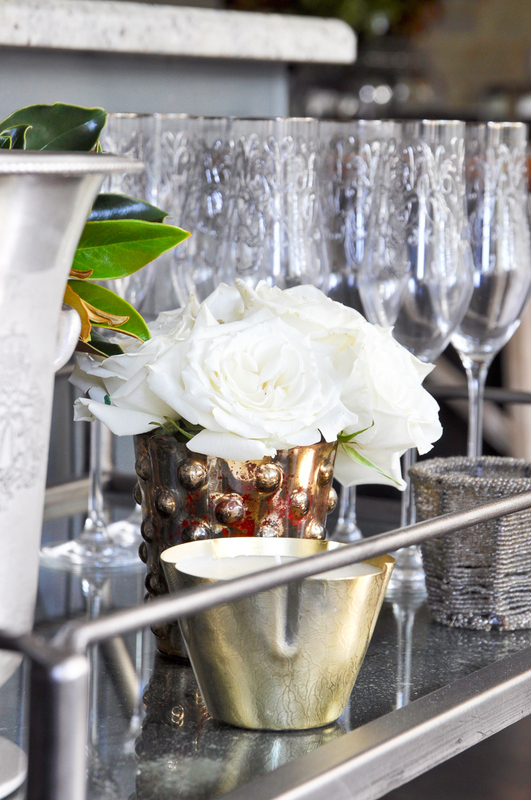 For these special occasions, I think beautiful barware is a must have. 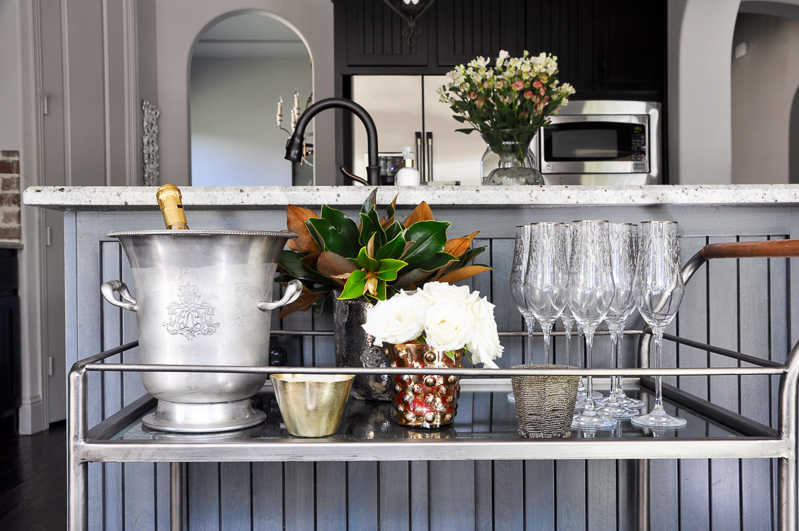 The beverage of choice for celebrating: the bubbly! Remember, it doesn’t have to be Champagne. 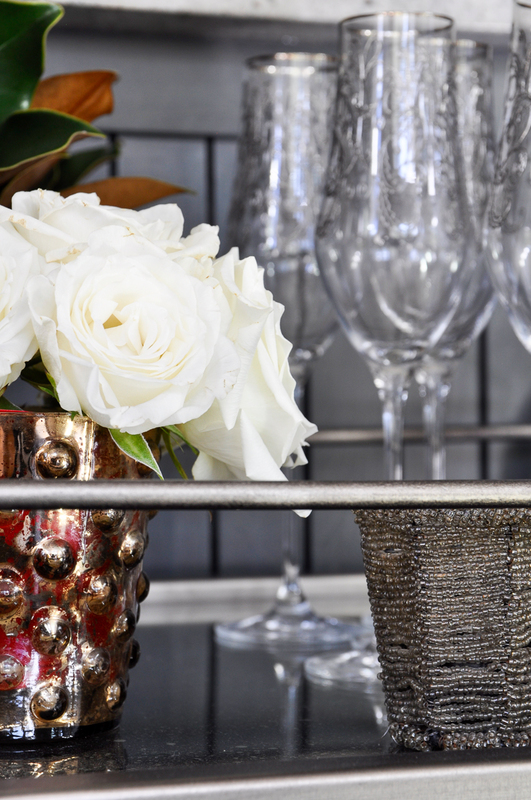 A wonderful Prosecco or sparkling wine will work beautifully. 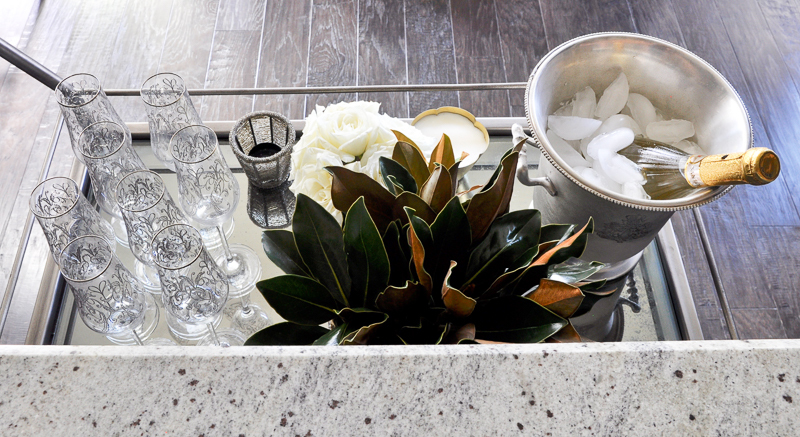 I chose a beautiful bucket, but a beverage dispenser, wine bottles and/or decanters will work as well depending on your theme and preferences. This time of year is a wonderful reason to celebrate with family and friends. 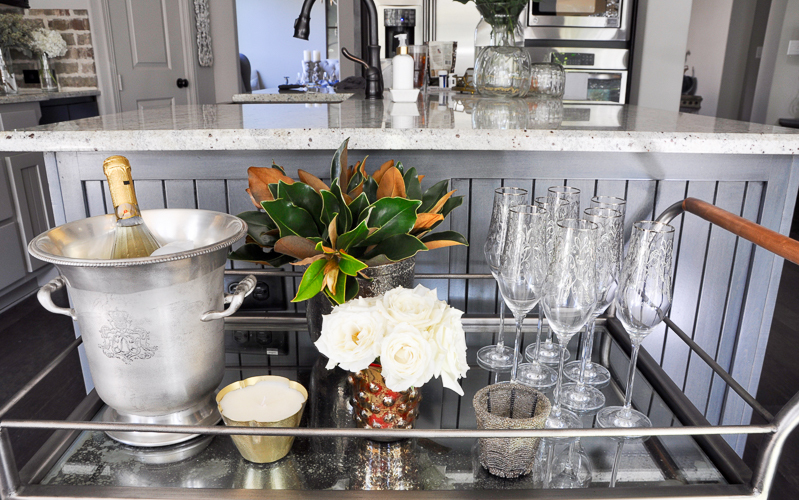 A bar cart will not only lend itself to making these gatherings organized in the beverage department, but they are typically a nice decorative addition to the home. If you do not have one of these yet, I encourage you to add one to your kitchen/dining room/game room. The possibilities are numerous and you will be elated at their flexibility.